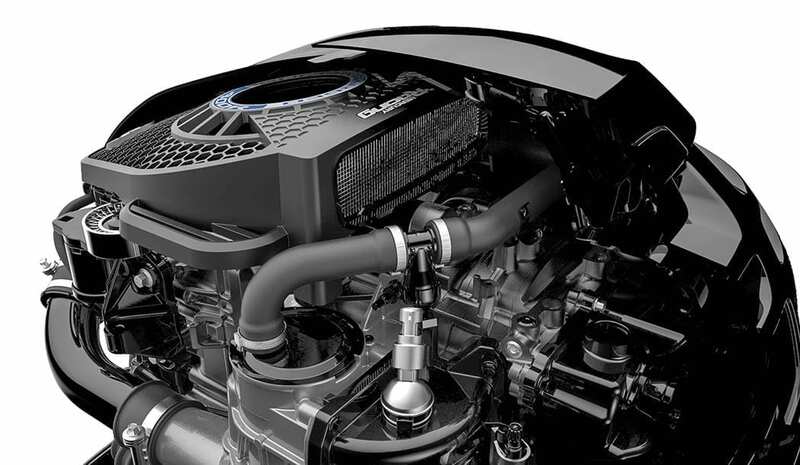 Keep an eye on your engine’s cooling system. Recently I had both inboard diesel engines of the boat I was delivering dialed in at 2200 rpm and moving along at a comfortable speed. My feet were up, my back was settled into the pedestal chair, and I was enjoying the ride as I made my way to the marina at a slow bell when the starboard engine alarm went off. The rpms on the state-of-the-art, electronically controlled engine quickly went from 2200 to 1500 and then to complete shut down. Bringing both throttles back to neutral, I noted a spike on the digital temp gauge and instantly wondered what could have gone wrong from intake to exhaust and everything in between. I checked the expansion tank’s coolant cap, water pump, the various hoses, clamps, and exhaust riser before taking a look at the raw water sea strainer. After unscrewing the lid, I detected bits and pieces of thin plastic. I got away lucky on this one. The source of the problem was a small plastic bag. I shut off the thru-hull intake, removed the hose, checked the impeller, and cleared the residue. Problem solved—a much better outcome than a catastrophic engine failure. 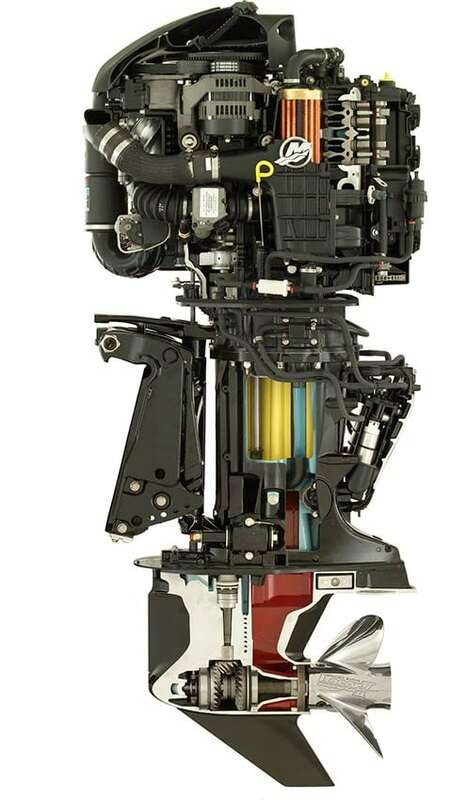 To keep your system running cool, let’s first look at the operation of an outboard engine. Be familiar with your engine manual and know the correct procedure for doing this kind of maintenance. 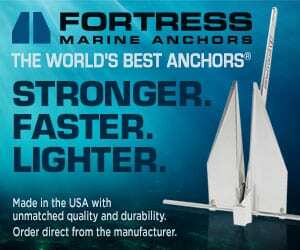 “If you pull that impeller out, you’re most likely going to need to put in a new one so always carry the right spares,” Nimmer said. While impellers are quite robust, if you operate your engine(s) in areas of shallow water, this can often result in sand or other debris entering the system, so check yours on a regular basis. “If you store your engine over a season, put in a new one before you launch again,” suggests Nimmer. This is also a good time to check the seal on the water pump. A problem with the engine’s thermostat and relief or bypass valve can also cause overheating. 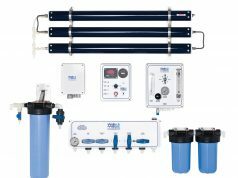 Pre-set to a factory determined setting, this device regulates water temperature to cool the engine, while keeping the proper pressure in the system for proper transfer of generated heat. If any debris or corrosion is present, the thermostate should be swapped out. Your engine owner’s manual will detail this simple operation. “Never run your engine without its thermostat,” warns Nimmer. 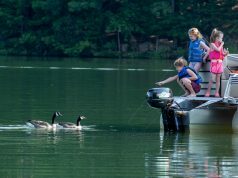 “It’s designed to protect and without it, severe damage can occur.” And regardless of what kind of water you boat in, Nimmer recommends you freshwater flush your engine after each use. 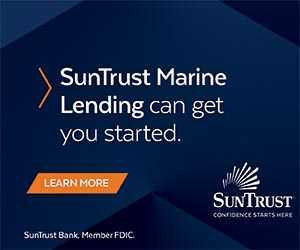 Inboard diesel or gasoline boats both have closed, expansion tank systems and raw water cooling with important maintenance items to be observed. Knowing the flow amount of your exhaust water is also key to confirm problems with your cooling system—as a boat operator, you should know this by sight. Should you see any restricted flow, shut the engine down and starting at the thru-hull, work your way through the system. A ruined impeller—a major cause in many cooling system problems—can send rubber pieces into the heat exchanger. If you run gasoline engines, you most likely have cast iron risers. As these are quite prone to corrosion in salt water, make checking them part of a seasonal inspection. Besides the usual suspects such as the water pump, seal, belt, and impeller, follow the hoses, look at the clamps, and make sure the expansion tank cap is on properly. If this hasn’t been done in a while, take the fittings off the heat exchanger and check for clogs and marine growth. If any are present, clear things out with a thin wire brush. 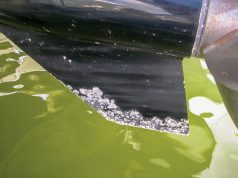 It is also a good idea to use an engine flushing product such as Barnacle Buster at least once a season. And use the correct antifreeze as per your engine manufacturer’s recommendations. With cooling problems the heat generated can ultimately ruin an engine. Carry spare impellers, pre-cut hoses, clamps, the correct antifreeze, and the proper gaskets, grease, and tools aboard before setting out. I also like to have a full roll of self-fusing silicone tape in my toolbox—it can provide a great quick fix for a leaking hose until you get back to the dock. And don’t forget that all-important owner’s manual. Previous articleCatch an air show from the comfort of your own boat.